OEM-Approved Products. On-Site Color Matching Services. Quality Paint Equipment. 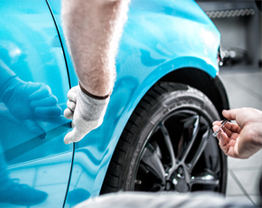 We're Metro-Detroit's Leading One-Stop Shop for Automotive Paint Services & Products. 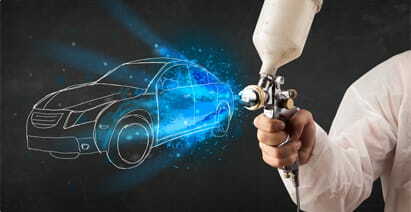 We provide a variety of services catering to any automotive care need, including on-site color matching, top of the line custom finishes, as well as being a key supplier for all of your automotive paint equipment and supply needs. We carry a wide range of all of your favorite OEM-approved products! From Axalta to Nason and Ever Coat, we have everything you need from the world's best manufacturers. Need painting supplies, too? We've got you covered! Whether you need paint, supplies or equipment, we're your one-stop shop! Automotive Color Supply is a supplier of automotive paint equipment and supplies for anyone in the Roseville, Detroit, Troy, Warren and surrounding areas! 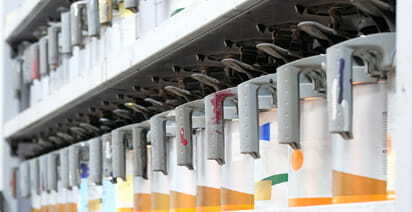 We provide all of your vehicle care needs by offering on-site color matching, putting any color paint into a 12 oz. aerosol can for your convenience. When it comes to product variety, our products list include all industry-leading and OEM approved materials - meaning we'll supply anything you need, ensuring it's only the best in the industry. Automotive Color Supply caters to your every paint need! Are you planning on painting a car or do you run a body shop and constantly need automotive paint supplies, tools and equipment? We're your one stop shop for auto paint supplies and order everything you need to prime and paint a car, truck, commercial vehicle, tractor or any other project! Our auto paint supply includes paints, painting tools, curing lamps, sandpaper, automotive masking tapes, papers, rags and more! Whether you are a paint shop or just looking for automotive paint equipment and supplies for yourself, Automotive Color Supply is here to serve you! Our large supply of automotive paint, supplies and equipment includes some of the highest-quality materials and are manufacturer-recommended. With a vast line of paint supply products and services, there's nothing we can't help you with. Whether you are a paint shop or a home restorer, we carry all the tools, products and materials to achieve a professional level result! Have a Question?Send us a message & we'll get back to you soon! Not Sure What Paint Product You Need? Not a problem! Our team will supply you with only what's needed from all the brands you trust to get the job done right. *Results may vary The contents of this webpage are Copyright © 2019 Automotive Color Supply. All Rights Reserved.